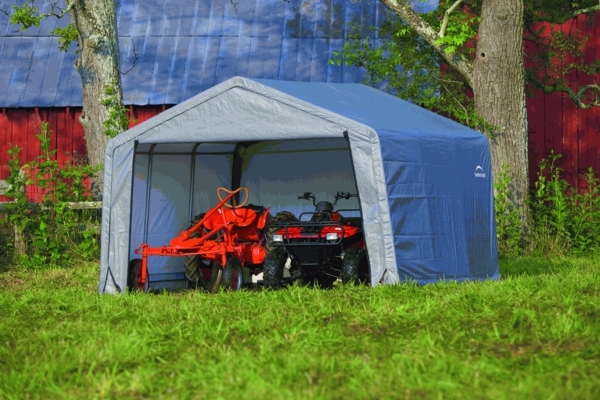 Few outdoor storage solutions are as convenient and versatile as this one from Shelter Logic. The shelter features a strong steel frame with a DuPont powder coating for resistance to corrosion and chipping. The entire shelter undergoes an extensive weatherproofing treatment to ensure resistance to water, wind, UV exposure, mold, fungus, and fading. Setting up the shelter is easy with the ratcheting tensioner system and slip together tubing. 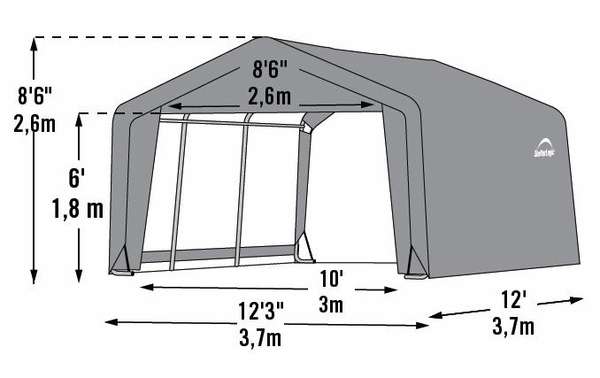 Because the entire assembly is made of lightweight materials, the shelter is portable and easy to move. Item was shipped very quickly. Price was much better than local retailers. Assembly was not too difficult but took much longer than estimated on instructions. The instructions were not always clear but watching the video -- even though it wasn't detailed -- was helpful. This is intended as a shelter for horses (3 minis and a small horse) and it seems to be ok. We wanted to put this in a specific location so the exact size was important. However, the dimensions given don't show how the sides taper in so the sides are less than 12 feet apart about half way up, so we couldn't put it in the location we wanted. Luckily, we had a back-up plan.